Yesterday we had yet another meeting while the rain turned to our first snow here outside. At the previous meeting I gave them all a piece of the bridge from last year that they would have to recreate. They finished that assignment yesterday with few complications. Now that we’re comfortable with making parts in Solidworks, next well work on making assemblies. Assemblies are where several different parts are brought together to form a bigger object. In the context of what we’ll be doing in the club, they will take each individual bridge member and assemble them together to form the whole bridge as a single collection of pieces. It’s fun and easy to pick up. Things are looking good this year as we are still on track and sticking to the schedule. More updates to come. 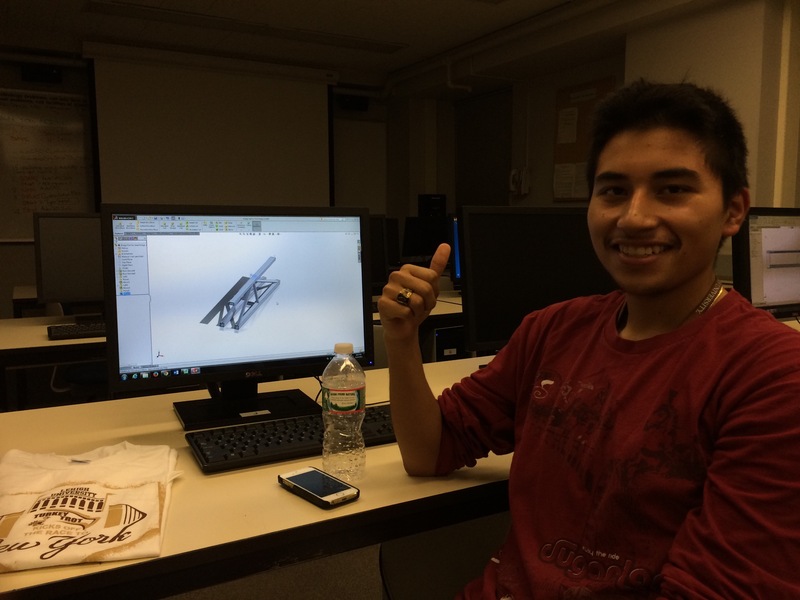 This entry was posted in Uncategorized and tagged lehigh university, Solidworks, Steel Bridge Club. Bookmark the permalink.